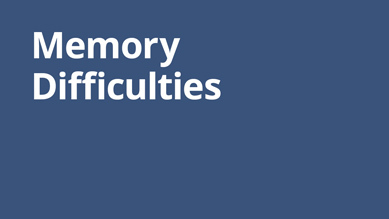 Many students with FASD display varying degrees of difficulty with memory. These difficulties can be misinterpreted as non-compliance and are often the cause of much frustration. Provides samples of accommodations for the teacher to use to support students with memory difficulties.